Point guard highly recruited at a young age who verbally committed to play at the UCLA when he was just 13 years old. He stars on the reality series Ball in the Family with his family. He began attending Chino Hills High School in 2015. As an 8th grader, he played against under-17 competition and dropped 32 points. 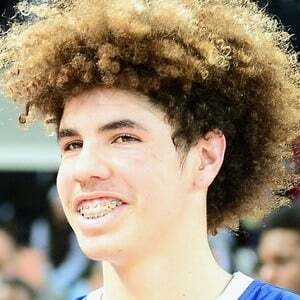 He was the third Ball brother to commit to UCLA, following his older brothers LiAngelo and Lonzo. He dated Ashley Alvano in 2017. He and LeBron James Jr. were both scouted early on in their basketball careers.